TUCSON, Ariz. - The Arizona Department of Transportation is still working to identify a Southern Arizona corridor for the proposed Interstate 11. Opposition continues to grow from Avra Valley residents , who learned they could lose their homes and businesses along the route. ADOT tells KGUN9 they're still more than a year away from identifying the corridor -- or none at all. Currently, ADOT is conducting a Tier 1 Environmental Impact Statement. Findings will be shared with the community at a series of public meetings. 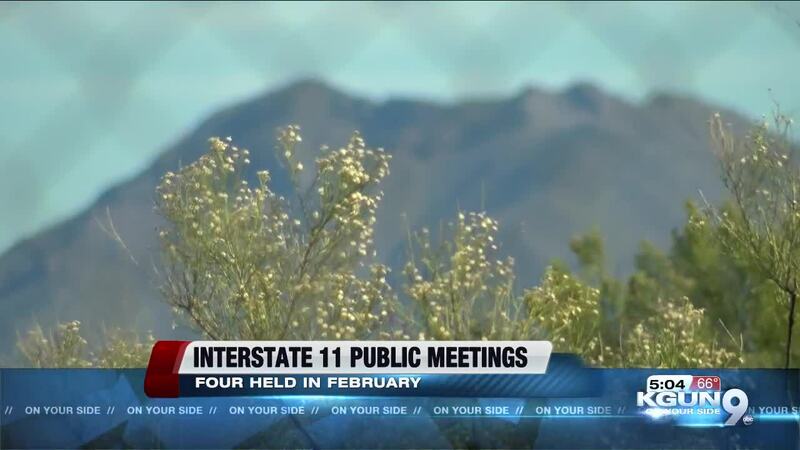 There were four public meetings scheduled in Southern Arizona next month, but ADOT confirmed those meetings were canceled due to the government shutdown.